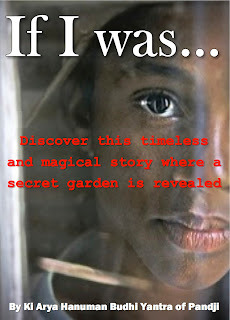 If I was... the children's book has been compared to Paulo Coelho's "The Alchemist" but for children. This children's story will capture your child's imagination and demonstrate how everything in life can be an omen to guide us on this amazing adventure of transformation. It instills a positive mindset and nurtures children's creativity. Here is the trailer to this book dedicated to the innocence in us all. This short story that will take you through your child's mind into another world… a world of wonder! Let this timeless story open your heart and ignite your imagination to the possibilities that this life can brings us. If I was... The Children's Book is a short story that was dreamed up on the eve of the birth of my first nephew Jacob, back in 2003. The story was written down the next morning and to this day has required very few edits. It has been told many times and I have been encouraged by many people to publish this story. So it is with great pleasure to announce that the task is done and the book is now available for all to read and share.